Deus Ex: Human Revolution is a science fiction RPG that takes place in the year 2027, when powerful corporations carry more power than governments. 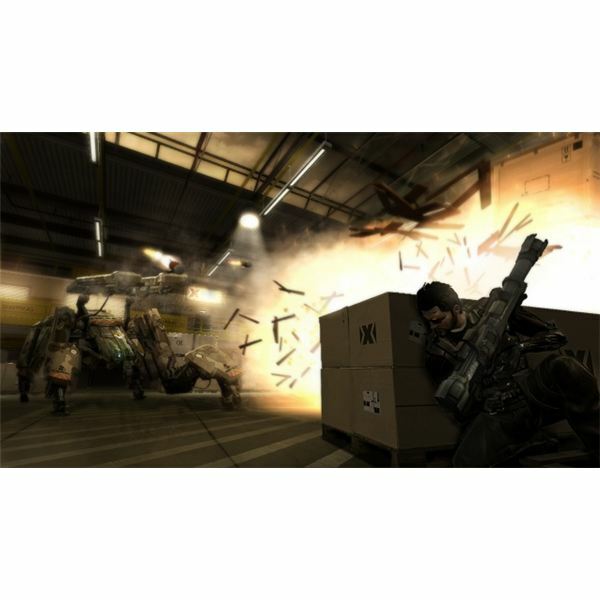 The player takes the role of Adam Jensen, who is the security chief for one of these corporations, and who is forced to undergo massive surgery and receive many augmentations, or mechanical implants, in order to survive after an attack on Sarif Industries, the corporation he works for. Released in August of 2011, the game received a 9.0/10 from IGN, based on praise for the open ended gameplay and the weight of conversations on the story line. This is the first real mission in the game, and begins in a tutorial level in which the player learns the basic gameplay elements and sees the beginning of the storyline. Many of the major characters in the game are also introduced, and we can begin to see the plot forming. After battling through Sarif Industries, we see Adam undergo extensive surgery. After that, we are sent on our first real mission to a manufacturing plant where a radical group of anti augmentation terrorists have seized the employees as hostages. After you have finished the first mission and rescued the hostages, you can wander around the streets of Detroit and finish up some side quests to level up and gain some new abilities or weapons. You can hack a few computers, find an arms dealer, and finish up some quests to get some more experience. was up to. You're going to go undercover and infiltrate the Detroit police station and get into the morgue so you can examine the body. There are a few different ways of doing this, and there are a lot of good items that you can find inside the police station, so check out this guide to make sure that you get everything you can. Motherly ties is a side quest that you pick up after leaving the office building that starts the Detroit missions, but follows the same path as the main storyline quest, and is actually quite deep as it provides a lot of detail into Adam's past life and his marriage to Megan. You'll learn about how the attack on Sarif Industries wasn't properly handled by the Detroit Police, and you'll find out about a lot of corruption in the police force. This is a very well hidden side quest, and one that is almost impossible to uncover on your own unless you know what to look for. Use this guide to help you embark on a quest to stop a gang war, bring a corrupt cop to justice, and earn a lot of credits and experience. The main storyline will force you to go through Derelict Row, and if you picked up the Cloak and Dagger side quest this is the main area that you'll be moving through. You do have to be careful in this area though, as there are a lot of thugs and punks around that will shoot first and ask questions later. The first boss fight will take place in this mission, and there are loads of enemies to fight and paths to take to complete this mission. This guide will walk you through the basics behind the boss fight, give you some tips of getting through the detention center, and the locations of every enemy and various weapons and pickups. quests in this section. Make sure that you proceed carefully, as a wrong decision can quickly escalate into a large scale battle on more than one occasion. 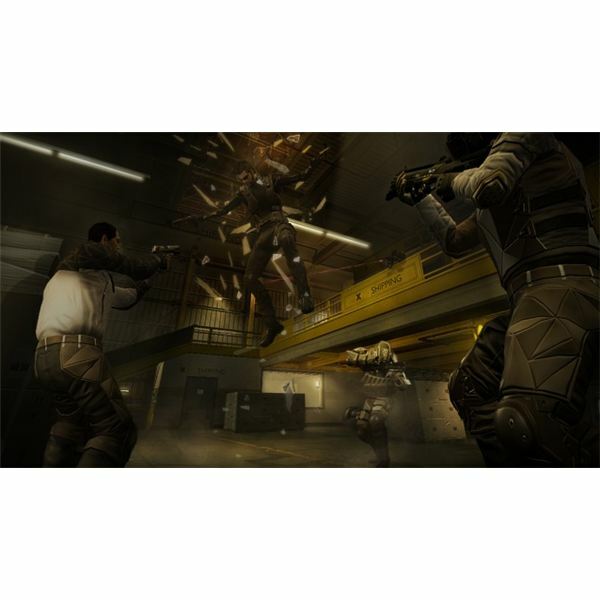 Learn how to properly navigate through these situations and avoid some nasty gunfights. This side mission that involves you helping out some girls under the rule of a drug lord will unlock an achievement on Steam or Xbox, or a trophy on the PlayStation. While not much of a quest in terms of plot line development, the achievement is worth the effort, and you'll get a good amount of experience as well. While the main idea of the mission is to rescue the girls, there is some violence involved, and fully expect to get into at least one fight through the course of this quest. Another side mission that will unlock an achievement, this time you have to help your pilot, Faridah Malik, investigate the murder of an old friend. Again, while this mission serves no other purpose besides the achievement and the experience, it's one of those quests that adds to the role playing feel of the game. Keep in mind that this mission is only available if you have the right augmentations already upgraded, and requires a high hacking level to easily pass through. Infiltrating Tai Yong Medical requires a lot of stealth and sweet talking to get through. With a little luck and this guide, you'll be able to make your way to a vital data core and evade the entire building's security force with ease. Since this is a large main quest, finish all of your side quests before starting, as it will automatically end them once you start. An army of mercenaries, another boss fight, and an annoyingly slow elevator await you on the site of Picus Communications, which puts out the annoying news broadcasts that offer insight into plot events. This mission is an interesting blend of stealth and intense firefight, and is quite difficult compared to the missions before it. After you finish at Picus, there are a lot more side quests in Detroit that you can do which offer insight into Adam's past life and help add to the overall backstory of the game. A riot has started in Detroit, and the police force is distracted from other crimes. You can help prevent a bombing and help the police maintain order, all while earning more experience. You'll be looking for missing researchers in Detroit, which has become embroiled in riots while you were away. The routes around the city have changed slightly, and there is a lot of new loot to find and inventory for sale. Of course, it's not all good, as you do have to find Sandoval to further the plot along.